Beautiful Home Updated 4/2.5/2 Ryland Bonham Plan, w/Pool. Located in Copperfield Southcreek Village. This Home was Updated with Granite Counter-tops in Kitchen, Tile Floors, Cement Board Siding & Roof 10 years ago. 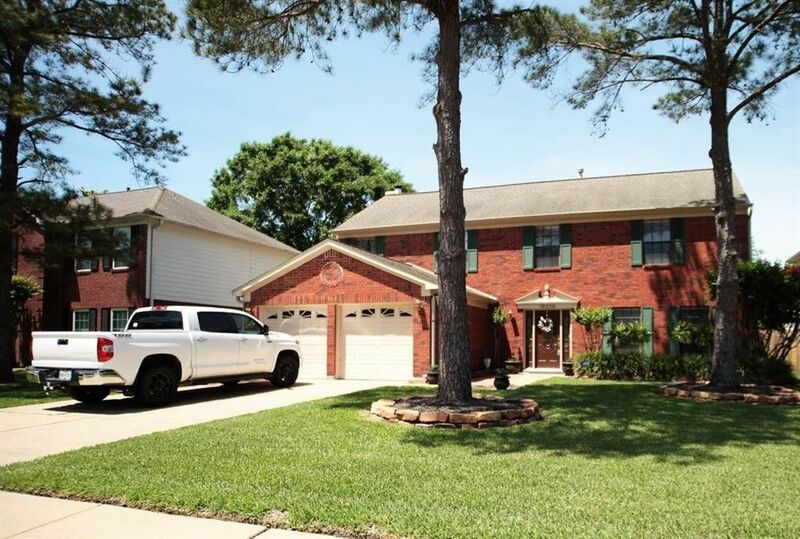 This home is in Cy-Fair ISD & zoned to Lowery elementary school one of Cy-Fair's Most Highly Acclaimed Schools!Enjoy Relaxing In Huge Screened - In Sun Room w/ Over 350 Sf w/ Bead Board Ceiling, and Panels That Can Be Closed Up, Large enough for a Pool Table and a View of the Pool & Back Yard. This Home is a Must See! Directions: Take Hwy 6 North from 529, Go left on Ridge Park just before the pool and school, go Left on Club Lake Dr. to the end. Go Right on Lakeview Haven, the second street on your left will be Hickory Point Dr. House is on the Right.